We are a family run wildlife park based in Broxbourne, known as Paradise Wildlife Park. 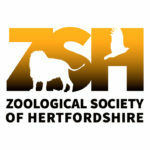 As from 1st January 2017, PWP has changed to full charity status as the registered charity, Zoological Society of Hertfordshire, charity no. 1108609. The site will still trade as Paradise Wildlife Park but our registered charity will have changed. This is a great step forward for Paradise and only widen the opportunities we can offer here as well as contributing even further to conservation in the UK and around the globe.